How Long Does Inpatient Inhalant Rehabilitation Last? To overcome inhalant abuse, it is essential to find a program specifically structured to help inhalant addicts. While inhalant use was once believed to be a problem that disproportionately affected young people, the Substance Abuse and Mental Health Services Administration (SAMHSA) found that approximately 54% of people who entered rehab for were over the age of 18. Inhalant rehab centers often provide programs divided by age group. Although the majority of people seeking treatment for inhalant abuse are adults, there is still an enormous need for programs to help adolescent addicts. According to the SAMHSA, children aged 12 to 17 accounted for only 8% of rehab admissions. However, 48% of these children admitted to abusing inhalants. 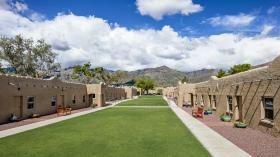 Inpatient rehab facilities let addicts completely focus on recovering from their addiction. While outpatient clinics may be suitable for some addictions, there are significant advantages for inpatient treatment. Inpatient treatment ensures that an addict cannot access inhalants, which are often easy to find, during the recovery process. If the addict is a child or teenager, inpatient treatment is highly important because it is likely that other members of the family have substance abuse problems. Attending a residential rehab facility is the best option for overcoming inhalant abuse. People who have chronically abused inhalants have many social and psychological problems caused by this problem. Due to the effect that inhalant abuse has on the brain, some inhalant rehab centers treat abusers for both a substance abuse problem and a mental illness. While some techniques used to treat other types of drug abuse can be used to treat inhalant abuse, there are other issues specific to inhalant use that are best addressed in a residential setting. If someone meets three out of the six criteria, he or she is considered to be dependent on inhalants. If you meet the criteria for dependence, call 1-888-341-7785 to discuss inhalant rehab centers in your area. Inhalant abusers are often ostracized from their peers or even stigmatized by other drug users. For this reason, top inhalant rehab centers recognize the importance of guarding their patients' privacy. 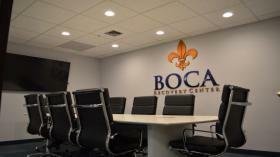 However, each treatment center will have specific protocols to help you build a community to aid in your recovery. For people who abuse inhalants, being paired with someone who is further advanced in the recovery process can be highly beneficial. Children who are attending an inhalant abuse rehabilitation center, for example, are often hard to reach and distant. These same children are anxious to bond with members of their peer group, so interacting with other addicts is important during the initial stages of their recovery. Inhalant abuse treatment requires a longer treatment stay to be effective. Inhalants linger in body fat, so it may take several weeks for all the effects of the inhalants to cease. For this reason, a typical 28-day or month-long treatment program may not be effective. Due to the challenges of inhalant addiction treatment, a general addiction treatment schedule is not appropriate. In many cases, an addict may not even be ready for traditional treatment therapy until he or she has detoxed for 30 days. A 90-day stay at an inpatient facility, with the option of extending treatment to a 120-day stay, is recommended by many inhalant rehab centers. A person who is addicted to inhalants will have a shortened attention span and limited thinking ability. For this reason, initial individual treatment sessions at inhalant rehab centers are very brief, lasting only 15 to 30 minutes. They are often informal. During recovery, the patient's mental state will constantly be reassessed, and the sessions will be lengthened when appropriate.If the addict is a teenager, it is common for siblings or parents to have substance abuse problems. For this reason, addiction therapy may involve some family therapy. To learn more about how inhalant rehab centers can help you, call 1-888-341-7785. Deciding that you are ready to embrace a new life free from drug abuse can yield exciting benefits. -Rehabs.com Paying for a top inhalant treatment program can be costly, but it is an important investment in your future. While some inhalant rehabs accept insurance, other may require out-of-pocket payment. This cost will vary depending on the length of stay recommended for the individual patient. Financing is available in many cases to help patients pay for their stay. Traveling to attend a inhalant rehabilitation center may be necessary depending on where you live. Some people may also chose to travel to attend a private facility or because they like the idea of a fresh start in a new place. However, if your rehabilitation center offers family counseling as part of its treatment, you may want to stay close to home to encourage your family to participate. When executive issues are hindering you or a relative from looking for assistance for a problem with drugs or alcohol or behavior-related addiction, executive rehabilitation centers will be invaluable. By leveraging highly-rated illicit substance and behavioral addiction treatments with the ability to use a computer or mobile device, a business person can receive support while keeping productive. Frequently, current narcotic, prescription drug or behavior treatment clinics grant the top-tier amenities one would normally expect in America's best hotels, with your health and well-being being the biggest priorities. From in-house massage therapy and gym facilities to housekeeping services and 5-star chef-prepared meals, you can get the highest-quality substance and behavior treatment for yourself or your relative while keeping comfortable. For support in finding the best-rated luxury treatment facilities for inhalant addiction, dial our no-charge hotline now at 1-888-341-7785. Inpatient inhalant rehab centers will help you build a plan to avoid the circumstances that led to your drug addiction. You will also have the skills necessary to cope with your life circumstances without resorting to drugs. Many rehabilitation centers recommend that you attend support group meetings to help maintain your commitment to a drug-free lifestyle. Your rehabilitation center may also encourage you to continue individual therapy. Stopping inhalant abuse as soon as possible is essential for preventing permanent side effects. Deciding that you are ready to embrace a new life free from drug abuse can yield exciting benefits. Because inhalant abuse can cause depression, irritability and inattentiveness, you may find that your mood improves once you stop using inhalants. If you or someone you love is ready to visit a private inhalant rehabilitation center, call 1-888-341-7785 today. Inhalant abuse can lead to social ostracize and depression. Getting help for your illness is the best way to substantially improve your life. Due to the effect of inhalants on the brain, it's important to get help as soon as possible to prevent permanent damage. To discuss the options available to you, call 1-888-341-7785 to find out about private inhalant abuse treatment centers. What are some of the slang names, street names or nicknames for inhalant abuse? If you regularly use inhalants or find it difficult to stop using inhalants, you could be addicted to using them. Addicts will also steal or manipulate in order to use inhalants, if necessary. What are the long-term effects of inhalant abuse? Long-term effects of inhalant abuse include brain or bone marrow damage, limb spasms, hearing loss, and damage to the central nervous system. These effects are irreversible. Addicts who sniff high concentrations of their preferred inhalant can suffer from heart failure or suffocation, both of which often end in death.